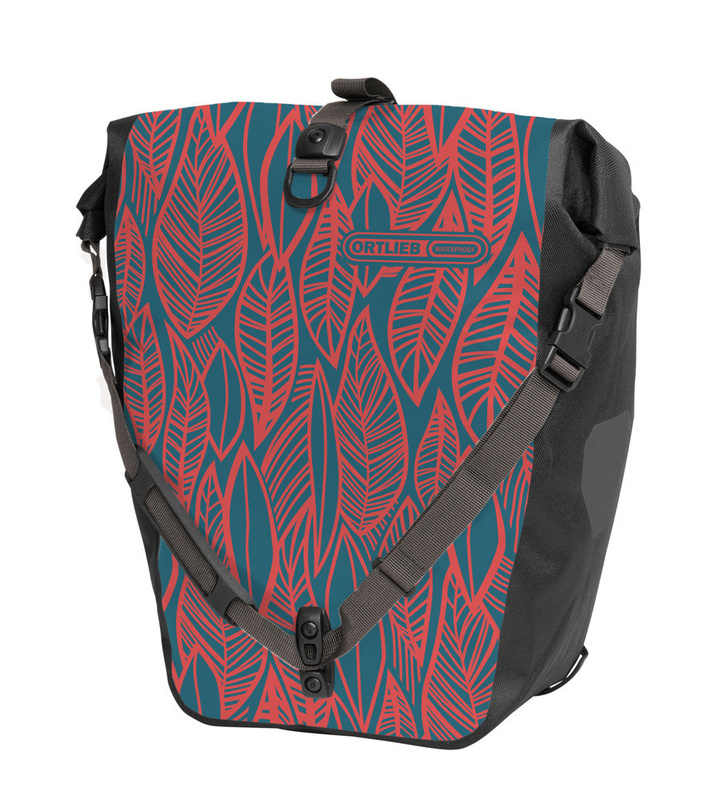 The classic Ortlieb Back- Roller updated with eye-catching graphics. “CYCLEDELIC” and “UPHILL” express simplicity and sophistication in black and white. “WOODLAND” and “ONE LESS CAR” introduce color in mint or olive. The waterproof ORTLIEB Back-Roller Design with roll closure is now available as a single bag as a pair. You can use it alone or combine it with another motif. You can quickly and conveniently mount the bags on virtually any bike rack thanks to the proven QL2.1 system. And even when you’re not riding, you can keep the ORTLIEB Back-Roller by your side by using the integrated shoulder strap. The bag’s interior is divided into a main compartment and a mesh, zippered pocket that helps you to keep all your things in order. 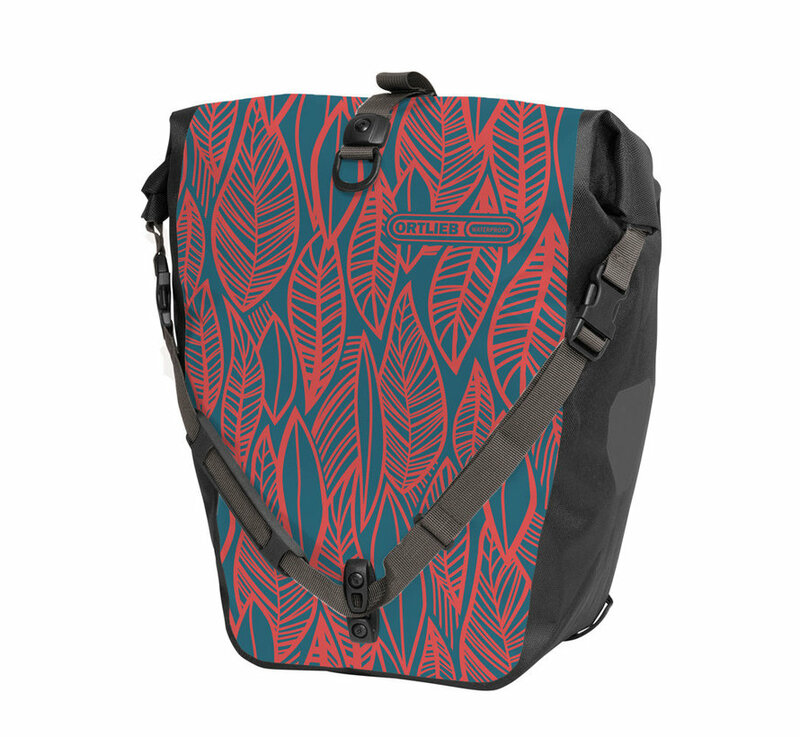 Striking graphic designs make this classic rear pannier an eye-catcher on the streetscape, while at the same time allowing you to voice your support for cycling.